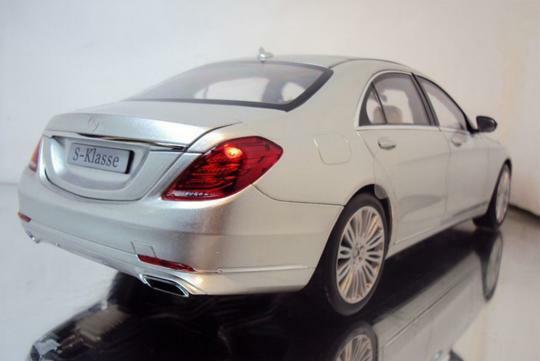 In less than a week, the world will witness the debut of the all new 2014 Mercedes-Benz S-Class. 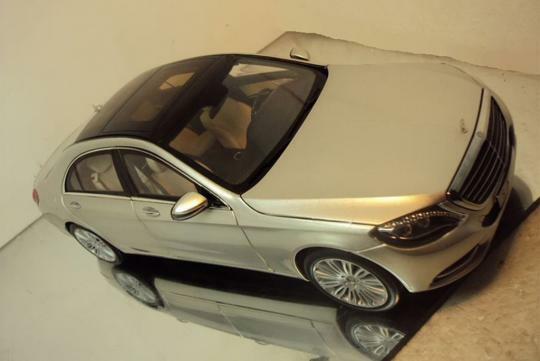 But right now, photos of its 1:18 scale die-cast model has surfaced on the Internet, courtesy of a photo gallery in an online French forum dedicated to miniature models. 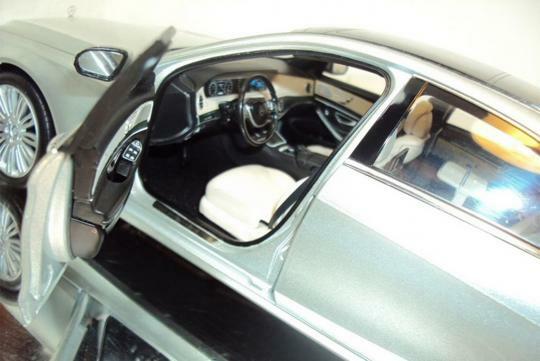 The photos revealed that the new model, codenamed W222, is clearly an evolution of the current model. Perhaps Mercedes-Benz is trying to play it safe with the styling of its top tier sedan so as not to 'shock' its current customer base. Some interesting styling features include a large front grille inspired by the F700 Concept car and LED head lights and taillights. 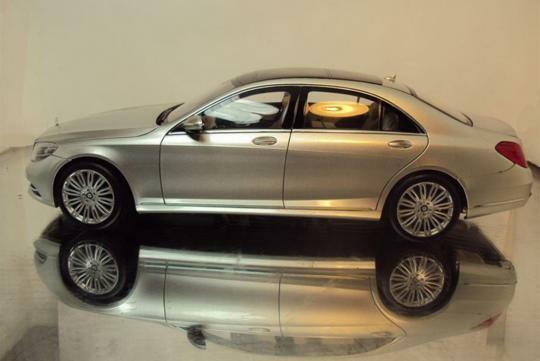 Along with the sedan, the S-Class will spawn a coupe and convertible as well as an extended wheelbase S 600 Pullman trim that will fill the Maybach void. The latest S-Class represents Mercedes-Benz' ninth generation flagship sedan, and the sixth to be officially called the S-Class. 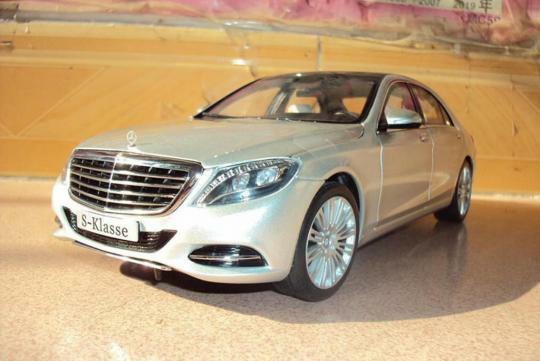 Like the current S500, the new S-Class will be powered by a twin-turbo V8 and the S600 will pack a twin-turbo V12. The S 63 and S 65 AMG, diesel, hybrid and smaller powertrains will be introduced at a later date. doesn't appeal to me as much as the current one..